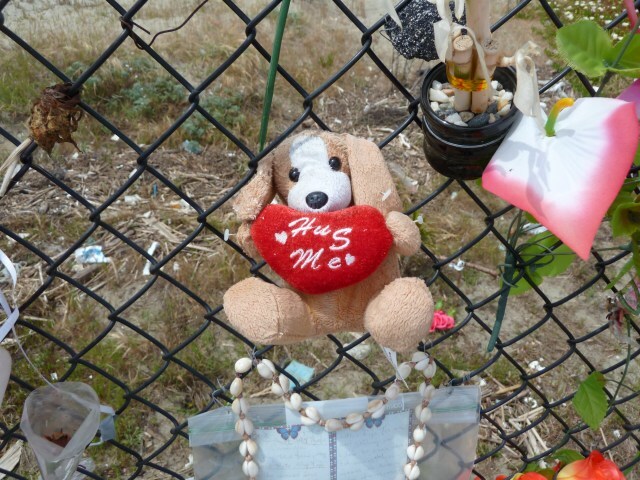 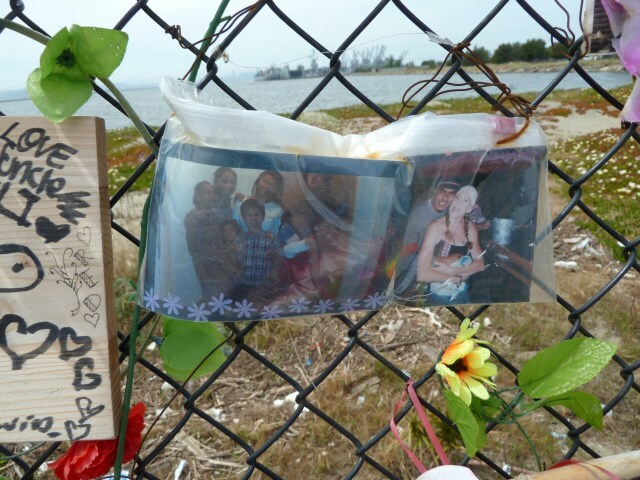 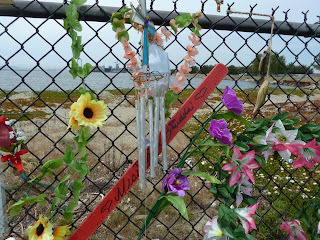 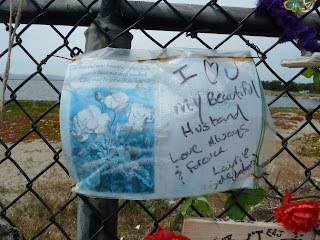 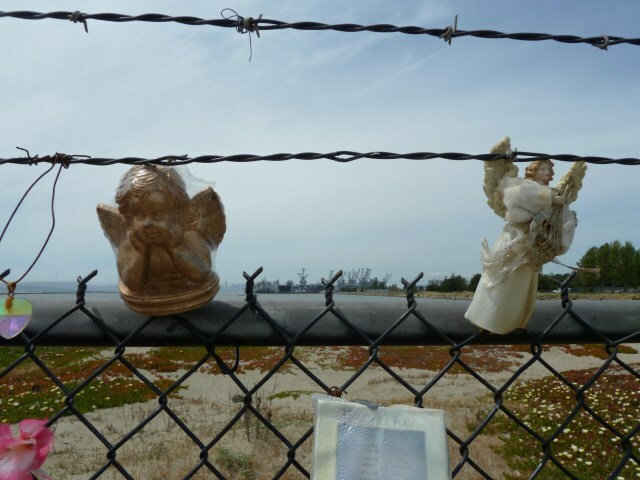 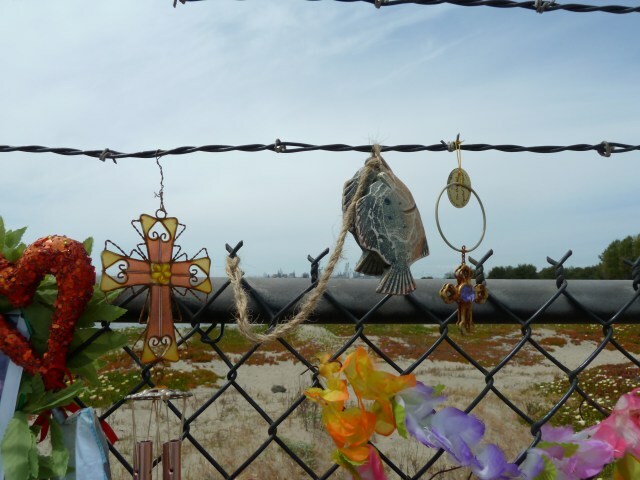 Some time back, a memorial appeared on the fence near Encinal boat ramp. 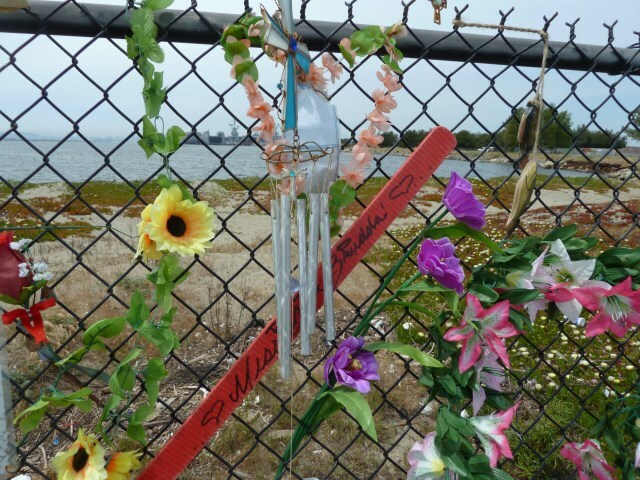 The fence is on one side of the jetty that juts out into the bay. 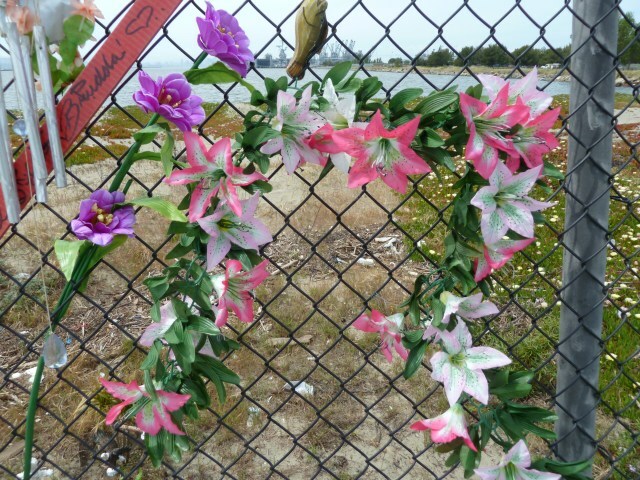 The jetty is used by people to fish from. Fellow kayaker Tony had heard that the memorial was for one of the fishermen who had died of a heart attack at that place. 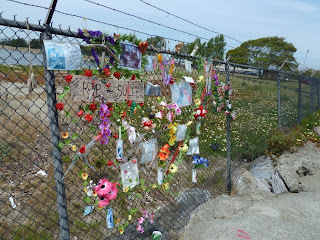 Yesterday was the first time I looked closely at the memorial. 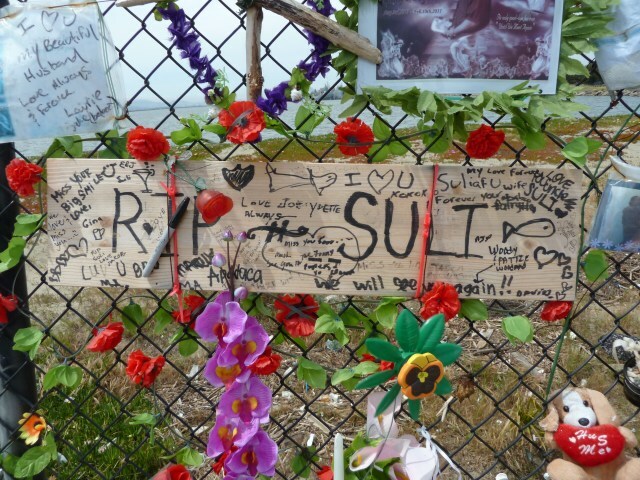 The man's name was Suli. 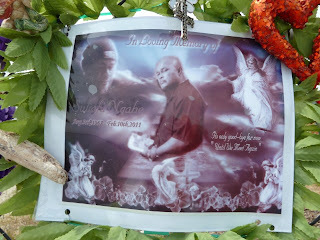 He was apparently not very old. 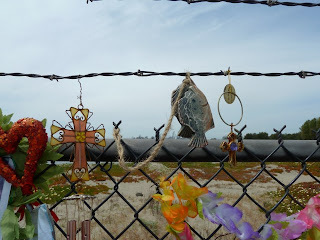 The wind was blowing when I took the pictures and the chimes were tinkling. 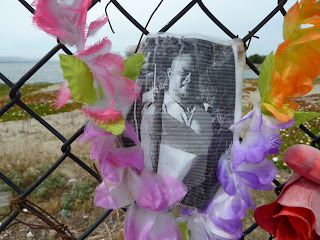 Suli was a fisherman and so there were fish. 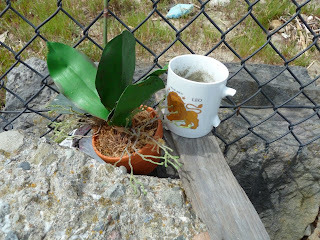 And while I was shooting pictures, someone came up and poured some beer into that cup. 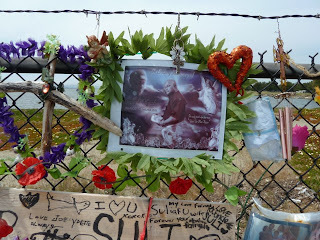 Suli was his friend. 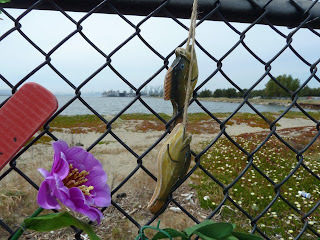 They had fished together. I asked if that was Suli's cup. It was. But Suli was not a coffee drinker. 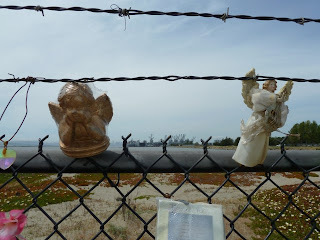 He liked beer and brandy. Hence the refill his friend was giving him. Suli's kids and wife. Suli knew he was in trouble and had tried to call his wife from his cell phone. He got her answering machine and sang her a Tongan love song before he died.